*This product was provided to me via the iFabbo blogger program. 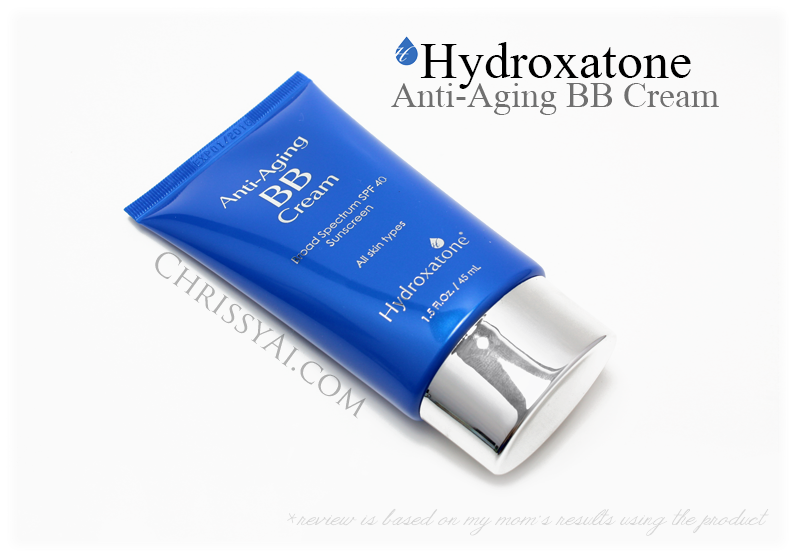 Today's review is on the Hydroxatone Anti-Aging BB Cream! Claim: "This perfecting multi-functional cream can act as a foundation, concealer, sunblock, and moisturizer all at once. BB cream was initially formulated and used by dermatologists to help patients who received laser surgery protect, soothe and refine their sensitive skin while also providing them with a light coverage for post-laser scars, acne, and other skin imperfections." Scent: The scent of this is light and nice. It kind of smells like a self tanner but not in a gross and annoying way. I can only describe it as a light "sugary" version of self tanner. (That probably doesn't sound like a good mix at all but my mom and I don't find it bothersome. She had repeatedly said she thought the scent was very nice before I even asked about it, and she is irritated by a LOT of smells.) The first time I took a whiff of it I almost thought I smelled doughnuts for some reason. Packaging: The packaging is in a convenient squeeze tube applicator like most BB Creams. 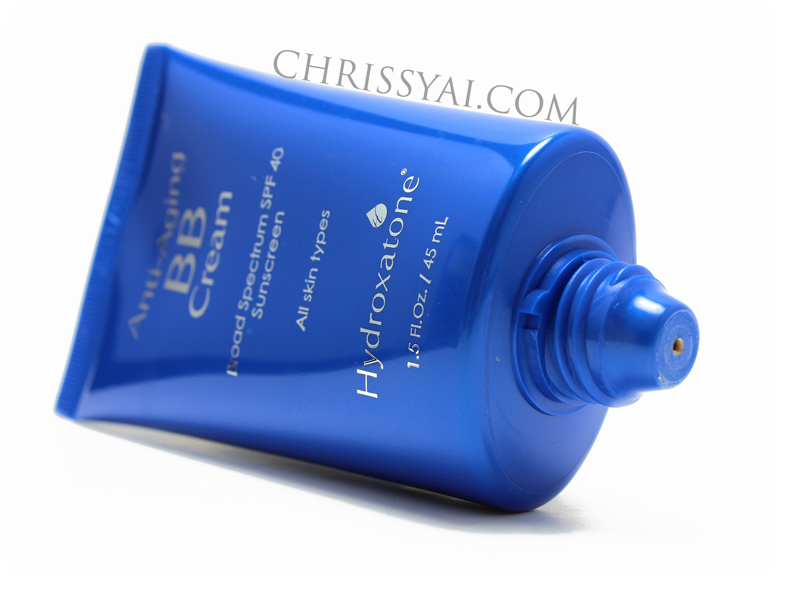 Texture: The texture of this BB Cream is light, creamy, and smooth. It has great blend-ability and doesn't leave a greasy feel. Thoughts: This BB Cream was by far too dark for me and for that reason I gave it to my mom to try out instead to give me her thoughts on it. It matched her perfectly! My mom isn't too into makeup and I think for that reason she's pretty picky about what she gets. She doesn't wear it often and when she does she doesn't like something that's irritating her the entire wear time. Her thoughts upon first application were that it was light, provided a decent coverage, lessened the look of lines and spots/blemishes, blended in really nicely, had a nice smell, wasn't greasy, and left her skin with a smooth feel. Within a few days of trial, she concluded that it didn't break her skin out. She also stated that she felt it may have helped dry out the few blemishes she had. Rating was chosen by my mom. She said "a four or five" so I met in the middle and asked if a 4.5 was good, she agreed. Hello There!!! Thank you so much for stopping by my blog and following me. I really appreciate you visiting. BB cream must be the new IT thing, because one of my co-workers just recommended that I try it, and then I stumble across your lovely blog and you're doing a review. I think I'll be giving it a try sooner than later. Of course, thanks for visiting! It has been for a little while I think, it seems to keep growing though. :) My personal favorite is the L'Oreal Magic BB Cream. I'm not sure how light their "Light" is but their medium is decently dark so I'm not sure. I'm pretty pale myself so it's a problem I encounter a lot. Nice product with nice features.It really looks lovely.Good anti aging cream i think.This is the right anti aging cream.